A legal case involving an employee who has been suspended for three years and counting raises questions about suspended employees and what this means for their futures. For more than two decades, the carpenter in the case installed tiles and carpets in public housing units. He also had responsibilities for supervising workers. Unfortunately, however, he says that unfair allegations that are still unproven lodged against him three years ago are still requiring him to stay in suspension. He was previously an employee with the Newark Housing Authority and in June 2014 he was suspended without pay on theft charges. He never received an official or a final disciplinary notice and is still on unpaid suspension three and a half years later. 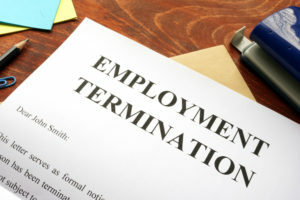 Ultimately the employee was not formally terminated nor found guilty of the charges that led to his suspension and he never found out from his employer whether or not he should go back to work. Those officials working at the Newark Housing Authority however, share that he is no longer employed there although they don’t have a date for when he was terminated. The employee sued the contractor who accused him of theft, the board of commissioners and the housing authority, alleging that he was deprived of his civil rights and wrongfully discharged. Wrongful termination cases are a leading cause of employees bringing forth lawsuits after an incident has occurred. To show cause in such cases, a former employee must illustrate that the employer violated his or her rights. A broad range of relief types may be available to someone successful in such a lawsuit. These cases are particularly problematic and difficult when an employee does not know what to do with his or her future. Consulting with an experienced employment law attorney is strongly recommended- contact a team of experienced attorneys at Begelman Orlow, Attorneys at Law in New Jersey to help with your case now. ← Who Can Apply for U.S. Citizenship?